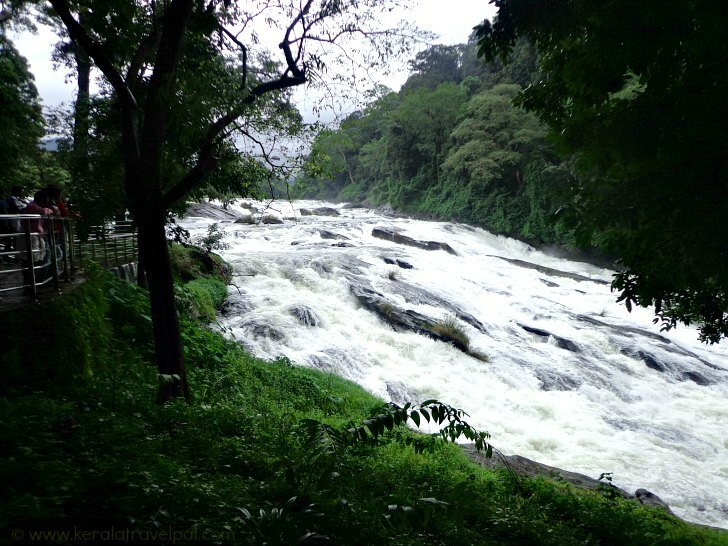 Vazhachal falls is located further 5 kilometres from Athirappally waterfall. At Vazhachal do not expect to see water falling or cascading in one or many precise steps. People are drawn here to enjoy more of a horizontal fall. Water gushes down along steeply inclined rocky terrain, in the foot steps of Sholayar hills. Vazhachal falls is a great scenic place in an area of forests, where fury of water has become a beauty to behold. Yes, only to behold, and not to step into water! Stream appears to be very shallow in certain areas. Plus there are plenty of rocks protruding all over water giving the impression that the stream can be easily walked over. Naively miscalculating, visitors step on to rocks. Rocks are slippery due to moss covering. Once someone falls in to water there, death is almost certain because of the force of water, the slope of the terrain and the impact of body hitting rocks. To add to the danger, there are also crevices under rocks. Over the years, hundreds of visitors have lost their lives here. Looking at the apparent innocence of shallow stream, it is something hard to conceive. 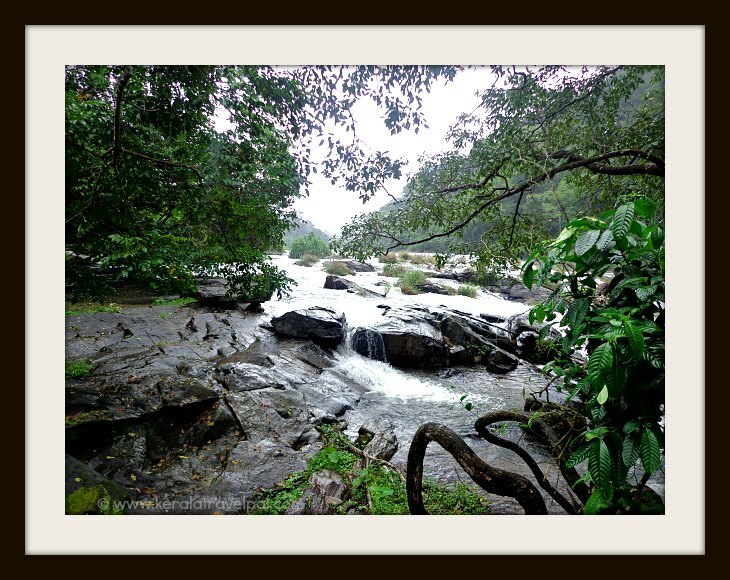 Athirappally Vazhachal area is a great picnic spot. One great idea is to bring in packed food. If bringing home made food is not possible, consider buying packed food from Chalakkudi. I still remember several such trips, with family, with friends and even from college hostel. Once we 200 students reached here with prepared food for all. The wardens, who were missionaries, did a good job in organizing. And we all had a great time! Police and guards at vigil can always be seen here. Safety measures are in place to ensure a pleasant Kerala waterfall experience. Many who visit the near by Athirapally falls miss out on Vazhachal. Lack of time, getting tired....reasons vary. However, Vazhachal is equally spectacular as Athirapally. Blessed by wild and refreshing beauty, it is the perfect spot to settle with a chair and coffee. So, in your Athirapally-Vazhachal visit, plan ahead to allocate sufficient time at Vazhachal. 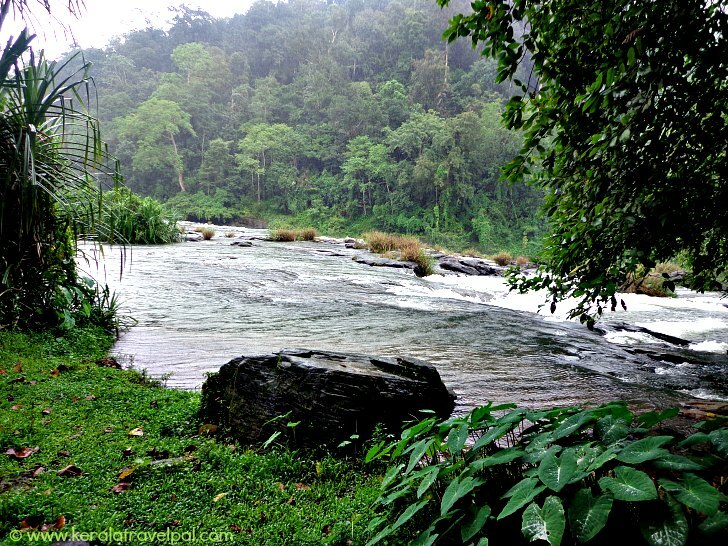 Vazhachal in Thrissur district is one of the well known tourist spots in Central Kerala. Food Options : Not much of food options near the waterfall. Several restaurants in Chalakkudi town. Nearby Attractions : Athirapally falls, Malakapara tea Gardens, Thumpurmuzhi Gardens,Dream World theme park, Silver Storm Theme Park at Vettilapara, Vachumaram, Anakkayam, Peringalkuthu Dam and Sholayar Dam.